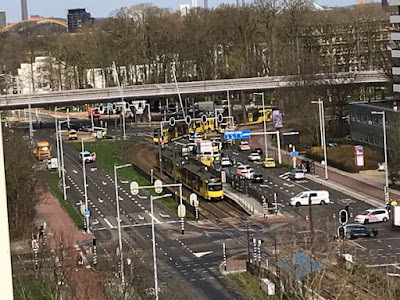 One person has died and several others have been injured after a shooting on a tram in a city in Holland this morning. 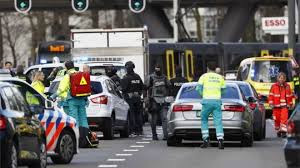 Police, including an anti-terror unit, have been deployed to the scene following the incident on a tram at 24 October Square in the city of Utrecht. 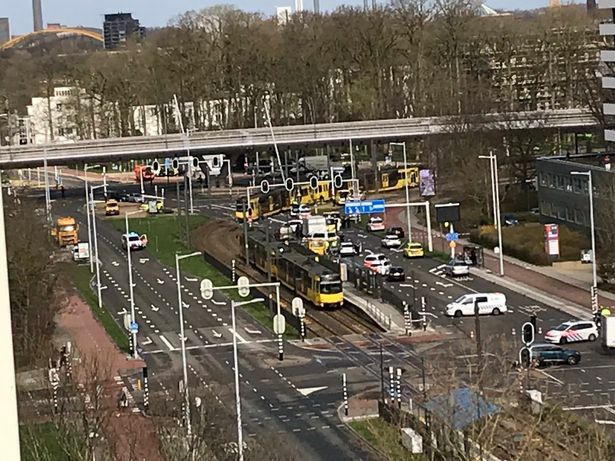 Images from the scene show a tram stopped in the middle of a junction surrounded by emergency emergency service vehicles. Police Utrecht confirmed there are "multiple injuries" and said a manhunt is underway after the gunman escaped. 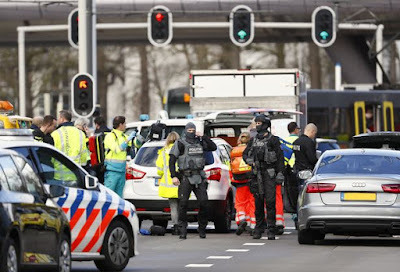 Dutch police said the shooter "may have had a terrorist motive" and that there may have been more than one perpatrator. There are reports that shootings may have taken place in several places across the city, which is 25 miles south of Amsterdam. Primary schools in Utrecht have been put on lockdown and all mosques have been evacuated.